Spanning across computer science themes such as hardware architecture, the operating system, and systems software, the Third Edition serves as a comprehensive introduction to programming. 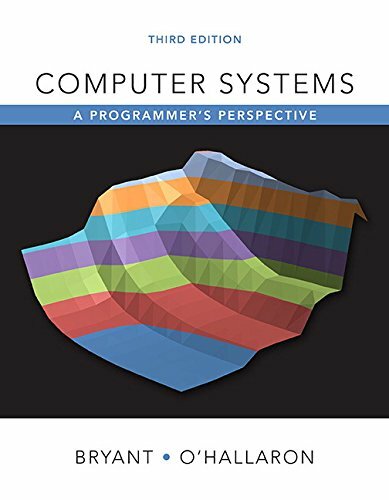 This book strives to create programmers who understand all elements of computer systems and will be able to engage in any application of the field–from fixing faulty software, to writing more capable programs, to avoiding common flaws. It lays the groundwork for readers to delve into more intensive topics such as computer architecture, embedded systems, and cybersecurity.